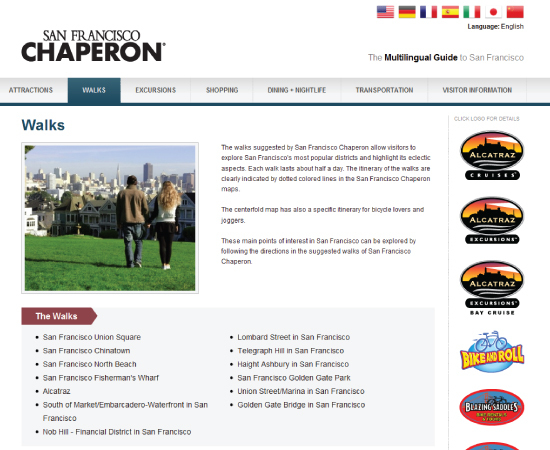 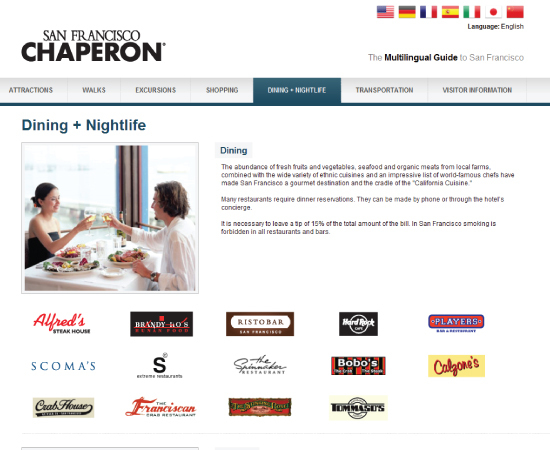 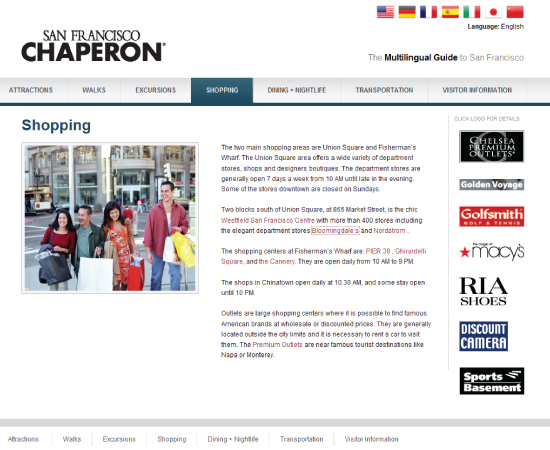 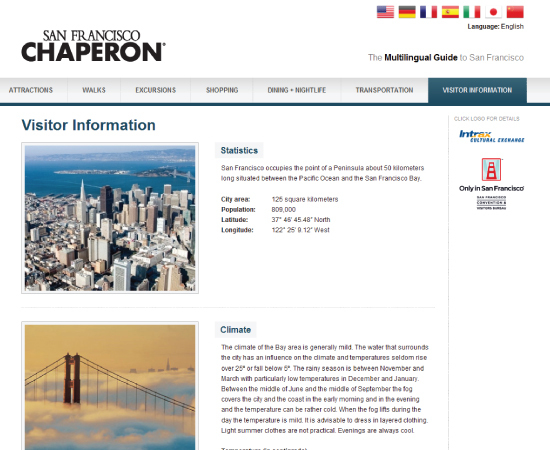 Chaperon is a guide of San Francisco available in 7 languages. 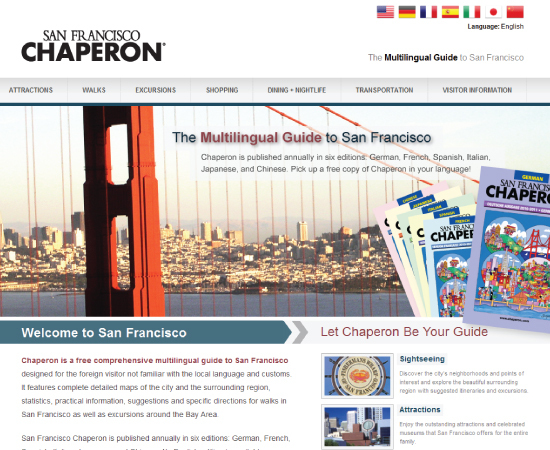 The goal was to update the look and usability of this massively multilingual site. 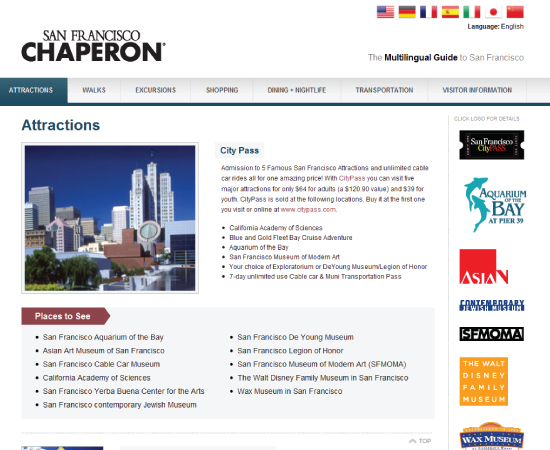 I was responsible for the design and development of the site.